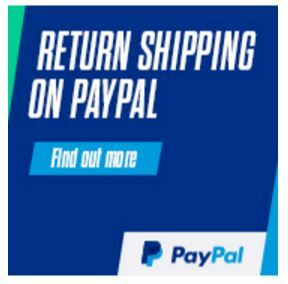 You save £10.00 that's 33% off! 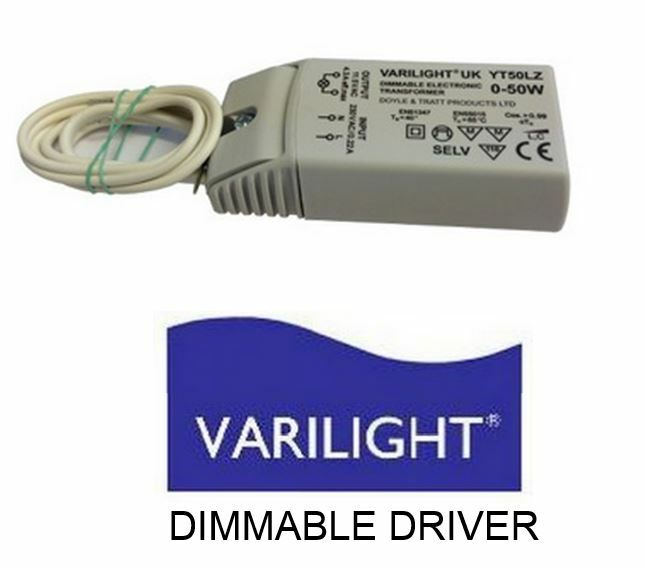 This low voltage driver is great for both dimmable and non-dimmable LED MR16 bulbs as it operates a 12V and has no minimum load compared to typical transformers that have a minimimum load of around 50 watts . The maximum output of this transfomer is 50 Watts which means this will be suitable for 0 - 10 LED bulbs assuming they no more than 5W each. If you require dimmable capability please ensure that the selected MR16 or MR11 bulbs are dimmable such as the LEDIFY M16. 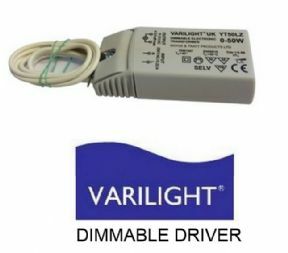 The recommended dimmer switch is the from the Varilight V-Pro range.